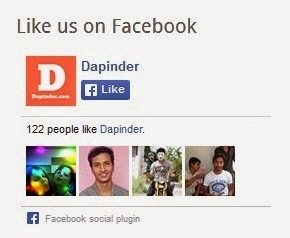 Facebook fanpage is a great way for promoting your blog and increasing your blog`s traffic. Facebook Like box is a popular facebook plugin for blogger which connects your facebook fanpage to your blog. It will display the number of your facebook fans along with their images and moreover a visitor of your blog can like your facebook fanpage directly through this facebook like box widget without leaving your blog. This guide is about adding a facebook like box to blogger blogs. Step 2: Select Layout option. Step 3: In the Layout select Add a Gadget option. Step 6: Save the widget and enjoy. Note : Change the paste your facebook page url here line in the following code with your Facebook page url.